Dr. William Roger Reynolds, Sr.
Born and raised in Charlestown, IN, Dr. William Roger Reynolds, Sr. graduated from the Indiana University School of Dentistry in 1979. That same year, he opened his own practice in New Albany, IN. After having purchased a large office space from his friend, Dr. Daniel Padgett, he moved to Sellersburg, IN. Dr. Jonathan Reynolds hails from Georgetown, IN. After graduating in 2003 from Indiana University with a Bachelor of Science in Biology, Jay decided to attend the University of Louisville School of Dentistry. When he graduated in 2008, he worked for his father for 18 months until going on to work with Aspen Dental at their Louisville and Clarksville locations for 7 years. 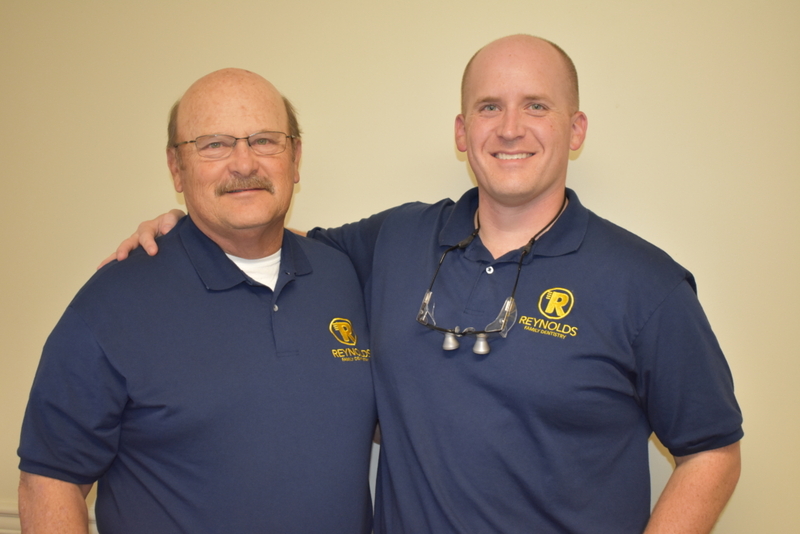 In November of 2016, Jay purchased Reynolds Family Dentistry from his father Dr. William Roger Reynolds, Sr. Located conveniently in Sellersburg, IN Reynolds Family Dentistry has been curating confident smiles for 39 years now. It’s always been our mission to help you and your family feel at home and well equipped to maintain an excellent status of oral health. Copyright© 2019 Reynolds Family Dentistry All Rights Reserved. | Website by Honeywick.